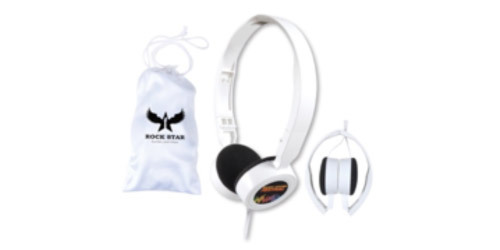 Adjustable folding headphone set with ear muffs. Fits most phone and media players. 1.1m lead with 3.5mm audio jack. Supplied in White polyester drawstring pouch.